A little history on Coca-Cola tells us that it was first invented in Atlanta Georgia by a pharmacist known as Dr. John Stith Pemberton on May the 8th 1886. It was first sold in a pharmacy as a soda fountain drink. Today, it is sold in more than 200 countries in the world. It has become the leader in carbonated drink sales, followed by Pepsi. The name Coca-Cola came from the fact that one of the ingredients is coca leaves and the other of the ingredients is kola nuts(the "K" was replaced with the "C". Coca-Cola uses as an ingredient a cocaine-free coca leaf extract prepared at a Stepan Company plant in New Jersey. Kola Nuts are the source of caffeine in Coca-Cola, as well as in Pepsi. When it came to the "Pepsi Challenge", statisticians were quick to point out the problematic nature of a 50/50 result. Most likely all that the taste tests showed was that in blind tests, most people simply cannot tell the difference between Pepsi and Coca-Cola. They have more or the less the same ingredients but there are some differences. Read the article Pepsi nutrition facts and learn more about the history of Pepsi and the nutritional value as well as the differences between Coke and Pepsi. The main culprit for calories in the American diet has been indicated to be soda, fast food and sweetened drinks. Most nutritionists advise that Coca-Cola and other soft drinks can be harmful if consumed excessively, particularly to young children. This is because soft drink consumption competes, rather than compliments, a balanced diet. Some studies have shown that regular soda pop users have a lower intake of magnesium, calcium, vitamin A, ascorbic acid and riboflavin, which are all important nutrients needed by our bodies. The use of caffeine in the drink has also raised some criticism citing it may cause physical dependence. There was also another health concern with the use of High Fructose Corn Syrup (HFCS) as part of the ingredients for most soda pops. Some nutritionists caution against consumption of HFCS because it may aggravate obesity and type 2 diabetes more than cane sugar. To add to this, a 2009 study found that almost half of the tested samples of commercial HFCS contained mercury which is a toxic substance. 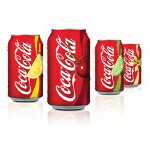 In terms of variety, Coca Cola is also available in Caffeine-free Coca-Cola, Coca-Cola Vanilla and Coca-Cola Cherry. The Caffeine-Free Coca-Cola version contains all the ingredients that Coke classic contains, except obviously that it does not contain caffeine. It contains 50 mg of sodium, versus 45 mg for Coca-Cola classic. All else remains the same, that is, 39 g of sugar and 140 calories. Coca-Cola Vanilla has 150 calories, 35 mg of sodium and 42 g of sugar. There is also Coca-Cola Vanilla Zero flavor which has 40 mg of sodium and obviously 0 g of sugar per 12 fl oz serving. Coca-Cola Cherry nutrition facts have shown that it has 150 calories, 35 mg of sodium and 42 g of sugar. Like the vanilla variety, there is also Coca-Cola Cherry Zero which contains `40 mg of sodium for a 12 fl oz serving. The daily values (DV) in this article are based on a 2,000 calorie diet. 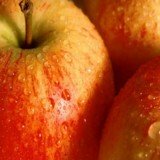 Your values may be higher or lower depending on your calorie needs. When considering Coca-Cola's 16 oz bottle and it's nutrition facts we realize that first of all, it contains 45 mg of caffeine per 16 fl oz serving. If you are to have this in a 240 ml glass, you will have 2 servings from this 16 oz bottle. If you drink it all you would have packed in 54 g of sugar and 200 calories. Simple mathematics! Nutrition facts on Coca-Cola's 20 oz bottle show us that it has 240 calories, 75 mg of sodium and 65 grams of sugar. It also contains 57 mg of caffeine per 20 fl oz serving. Realistically, one should not have a 2 liter bottle of Coca-Cola by themselves at one go. Obviously because it may have adverse health effects later on in the future. If you do, you will be packing in too much sugar in your system at one go. You can do the maths your self and just multiply the figures below by 8, if you drink from an 8 fl oz glass. As we have mentioned before and in the article diet coke nutrition facts, this soft drink is idea; for those who are watching their calories. It may also work for those who are diabetic as it does not contain any sugar. For those who want to be eating healthy and perhaps still want a bit of that fizzy taste in your mouth, you could also try this soft drink out. The table below serves to show you the differences or similarities in the nutrition facts of Coca Cola in the United States, United Kingdom and Canada. The information in the table shows that Coca-Cola produced in Canada has more sugar than that which is produced in the other two countries. The sodium content in the United States is the highest of the three. All in all, the information given in this article is for your own benefits. 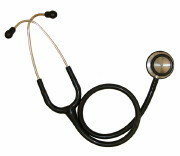 To enable you to make healthier and informed decisions.